This new way of looking at certain ADHD-like symptoms in kids has been generating quite a bit of buzz lately. Sluggish Cognitive Tempo Disorder, also known as SCT, is a relatively new term in psychology and psychiatry. It’s also referred to as CDD, or Concentration Deficit Disorder. The disorder came out of the initial research of Dr.Russell Barkley, a noted expert on ADHD, and is now receiving attention from a number of other researchers. For the time being, it’s not an official diagnosis, but rather a cluster of symptoms believed to be slightly different from the ones used to diagnose ADHD. Is It ADHD or SCT? The symptoms for this proposed new disorder might sound familiar: kids with SCT are prone to daydreaming, can have difficulty staying awake or alert in boring situations, become easily confused or bored, seem to be “spacey” or in a fog a lot of the time, and often don’t process information as quickly or accurately as others. Some of the primary differences thought to exist between Inattentive ADHD and SCT are that SCT also includes poor motivation, low self-esteem and low energy levels. The matter only gets more confusing as some of the research findings indicate that some of those with SCT may also meet criteria for any one of three types of ADHD: Predominantly Inattentive, Predominantly Hyperactive-impulsive or Combined-type ADHD. For now, it remains questionable whether SCT is an actual diagnosis. Why are diagnoses so important, you may ask? Because a valid diagnosis is necessary for a health provider to be paid by insurance. Some diagnoses may qualify students for special services at school, as well. Right now, being diagnosed with SCT alone will not lead to either of these. As a child psychologist, my view is that while we currently use diagnoses such as ADHD, Autism Spectrum Disorder and LDs in practice, each child with one or more of these diagnostic labels is quite different from another with the exact same labels. If you suspect your child has an issue, what is needed is a comprehensive evaluation that may include a number of professionals (medical, educational, and psychological) to discover what is causing the problems, and then determining together how to resolve them. I Think My Child Might Have ADHD or SCT. What Should I Do? So, what should a parent do if they see possible signs of SCT, ADHD or simply a child who is having trouble at school, seems to be moody or lacks energy, is often spacey and in a fog, or has trouble processing information? Here are four ways you can work with your child to help improve their concentration, focus and alertness. 1. Brain Exercises: As a child psychologist and the father of a grown son with ADHD, I developed a host of exercises in The Total Focus Program to help kids improve their concentration. I’ve found that the key is presenting these exercises as games, and making them fun to do together. Simple games like Memory, Concentration and crossword puzzles can improve attention, focus and working memory–the three executive functions of the brain. Scientific studies using brain imaging techniques show that as a specific exercise is practiced over and over for a while, new brain pathways are actually developed and strengthened—which improves executive function. Cognitive exercises have been found to produce desired changes in not only how the brain works, but how it looks, too. What this means is that you have the ability to work with your child to help improve their ADHD or SCT symptoms. As you do these “brain exercises” together, you should work with your child as his or her coach. Provide them with encouragement and track their progress as they improve. This also strengthens the relationship you have with your child. 2. 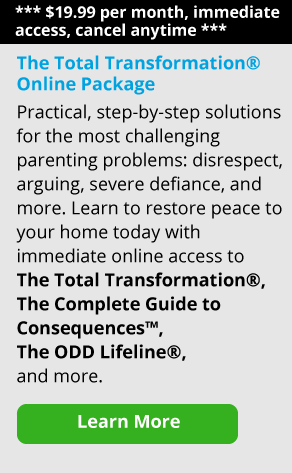 Positive statements: Teach your child to use positive statements to change how she thinks about herself and how to handle the challenges of life. This is called “positive self-talk.” Cognitive behavioral therapy techniques like this are effective in helping children improve motivation and self-confidence. If your child with ADHD or SCT has low self-esteem, teach her to let go of negative self-talk. As the saying goes, “Be very careful how you talk to yourself, because you are listening.” This is just as true for kids as it is for adults. 3. Relaxation techniques: Relaxation training, including deep breathing and the use of simple methods of biofeedback, helps reduce anxiety in kids and improves mood. This ends up improving not only academic achievement, but other aspects of your child’s life as well. 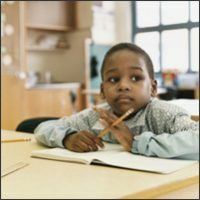 You don’t have to stand by and watch your child struggle and become discouraged as he falls further behind his peers both academically, and in his ability to enjoy life. By taking a little time out of each day to work with your child, he will gradually strengthen his ability to focus and complete tasks. And at the same time, you’ll be building a positive relationship that will lead to joy and satisfaction for both you and your child.